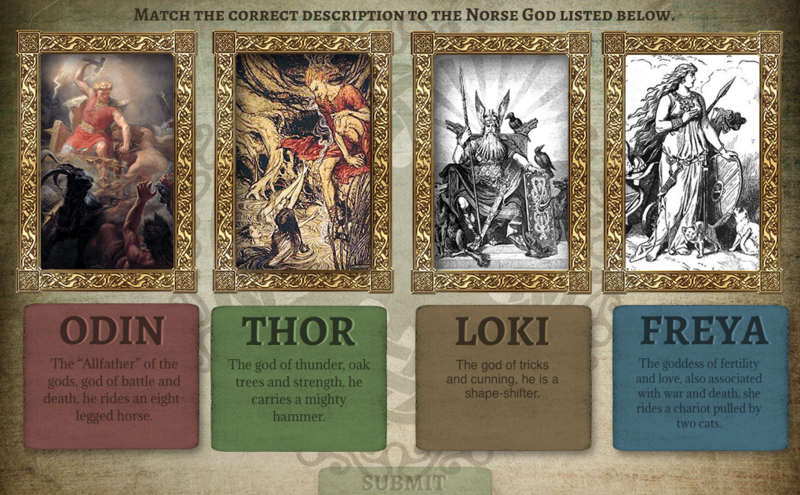 As part of an interactive E-Learning lesson, after the students learned about the Norse gods they reached this drag and drop exercise. With each submission, they would receive a response and either move forward or try again. Click Here to view the interaction. Copyright © 2017 by Megan Heck Designs. All rights reserved.